Choosing a heavy haul trucking company requires careful consideration of the company’s technical expertise and the proper equipment to handle all types of heavy haul services — including the transportation of hazardous and nonhazardous materials. Transport of waste, specialized hauling, heavy haul freight, and oversize carriers; as well as the removal of disaster cleanup and large quantity earthwork projects are factors that you need to consider when selecting the right company to enter a contract with. Here are five things to look for when searching for a heavy haul trucking company. It’s important that the heavy truck hauling company does not put your equipment and company at risk. This requires inquiring that they meet — and more preferably, exceed — compliance standards. Like any other industry, heavy hauling is a heavily regulated industry within the United States. Ask how they are working to actively meet standards, as well as stay aware of any future changes to national mandates. For heavy hauling and oversized loads, it’s particularly important that they have the appropriate permits. Each state regulates and maintains their own set of state regulations. Typically, standard requirements include width standards, where a vehicle should not exceed 8 feet and 6 inches. Also, the truck cannot exceed 80,000 pounds in total vehicle weight. For transport companies that specialize in moving heavy loads, they will need to obtain a heavy haul permit if it is exceeding maximum legal size. Fraudulent heavy haul companies may position themselves as a business that may be able to transport heavy haul freight, but they may operate outside jurisdiction to save money and avoid state oversight. Simply meeting compliance standards is not enough. You do not want to be exposed to potential litigation. It’s preferred that the heavy transport company has proper insurance to ensure employees and equipment safety. If they aren’t willing to describe the measures and tactics that they employ to ensure employee safety and sufficient transport of goods, then you might want to think twice before agreeing to a contract. As with any job that employees help of a commercial vehicle, each type of job and equipment requires specialized insurance. Inquire about insurance and the kind of coverage it has to cover the hauling you need. Do not assume that just because you are communicating with a heavy haul trucking company, that the company will have insurance to cover your materials. You may need to provide supplemental insurance in order to protect your goods and product. 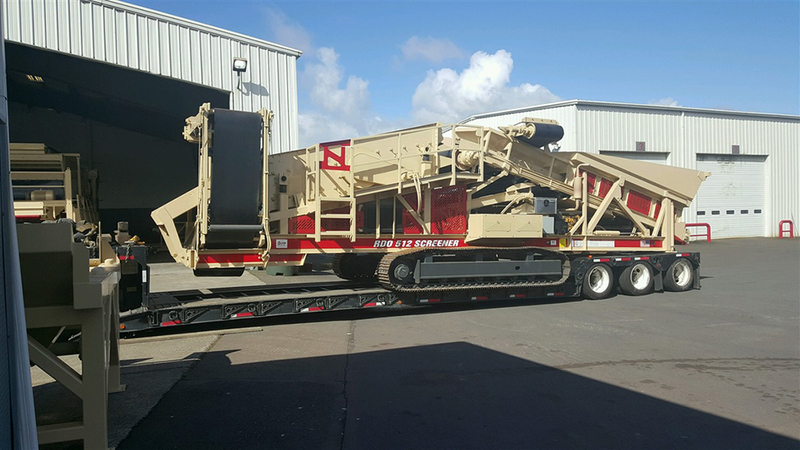 When preparing to move any flatbed load, it’s important to be aware of the exact dimensions and weight of your heavy loads. For specific regulations, consult your state’s transportation department. 5. Weight restrictions and when does heavy transport becomes “oversized”? Weight restrictions are largely dependent on the axle. 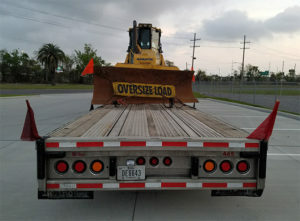 Oversize loads may not exceed the total weight limit, but they are able to exceed the per axle limit. Just remember that if your heavy hall trucking company uses flatbed drivers, they are responsible for obtaining the correct permits. 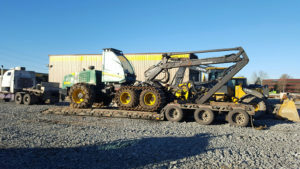 Specializing in heavy equipment transport and hauling, Heavy Haulers is the go-to heavy haul trucking company catering to commercial and industrial applications. No money will be asked, nor a deposit is required until we have scheduled a pickup for your load. All of our carriers are licensed and properly insured to ensure the safe travels of your goods. Contact us to learn more.